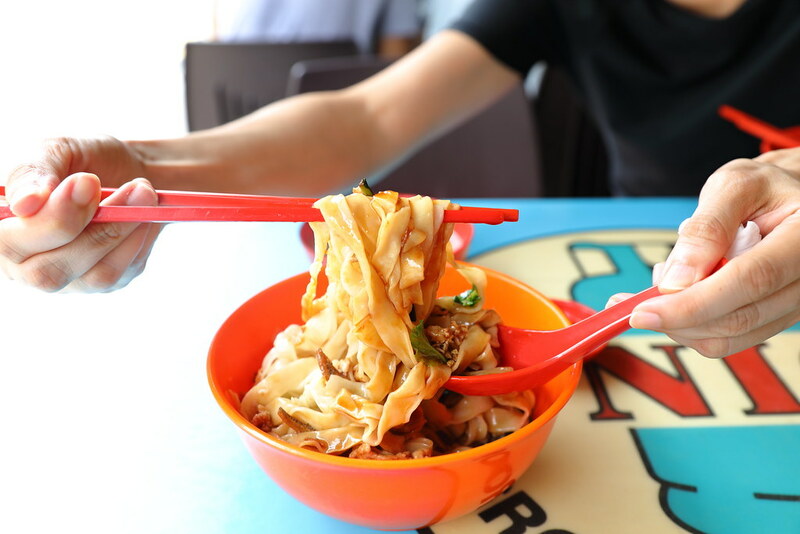 After reading and hearing good reviews of L32 Geylang Handmade Noodles's Ban Mian, I decided to visit the coffeeshop in which it is located at the junction of Geylang Road and Geylang Lorong 32. My attention is drawn to the variety of ban mian such as chicken, fishball, meatball, sliced fish, clam and fish head besides the normal pork one. 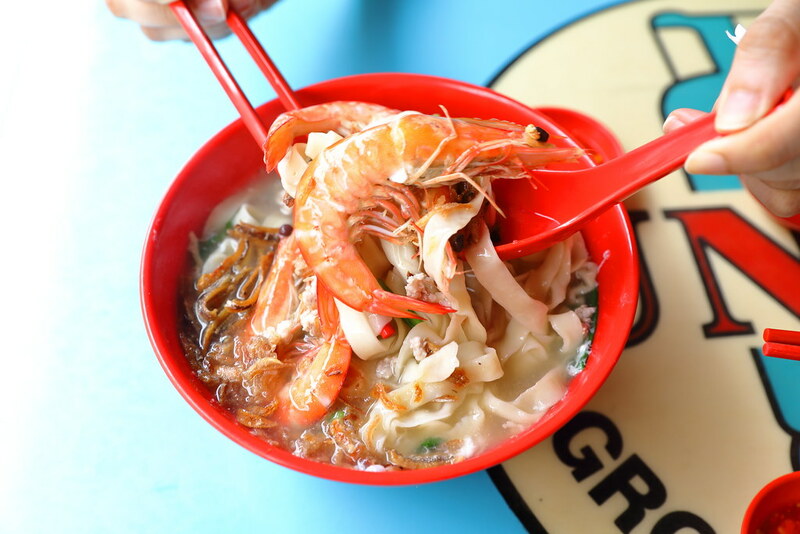 The Prawn Ban Mian Soup ($5) comes with 2 big fresh prawns, egg, minced pork, vegetables and topped with ikan bilis that sweeten the already flavourful soup. The star has to be the texture of the noodles that is cooked to al dente. I can understand why many have given good reviews of their ban mian now. I am glad that I take the time to check it out. For the dry version, I gone for the Pork Ban Mian Dry ($4.30) which is the cheapest of all the selection. 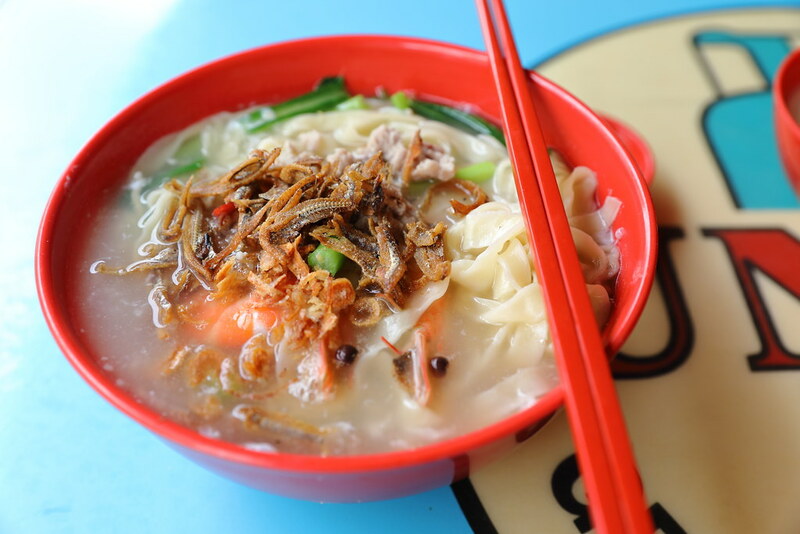 Compared to the soup version, the dry version allows you to appreciate the texture of the handmade noodles even more. 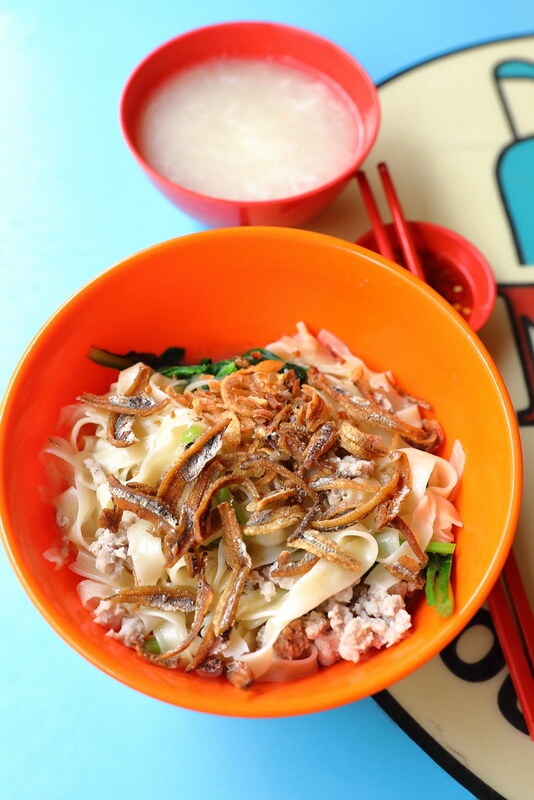 The enjoyable bite of the noodle is complemented by the robust and fragrant chilli sauce, elevated by the ikan bilis. 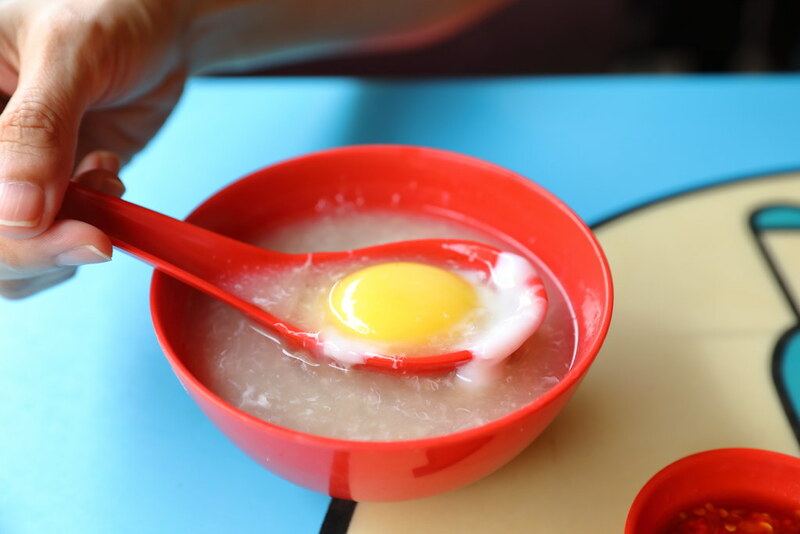 The accompany soup even comes with a whole egg drop. After trying L32 Geylang Handmade Noodles myself, I have to agree that the ban mian here is top notch. There is nothing to fault the texture of the handmade noodle. The chilli is spicy and fragrant. The soup is robust and flavourful. It is like the whole package for a good bowl of ban mian.